Nose: Clove, spice, rich toffee warmth. Palate: Velvety, orange peel, ginger and ice tea. The palate lingers, with initial spice and a soft peppery taste, apples, leading to a creamy body with a nutty flavor of vanilla. When it comes to a single cask bottle, Comandon always deliver. This particular edition was bottled in 2011, after pioneering the initial ‘single barrel’ mindset in 2010. 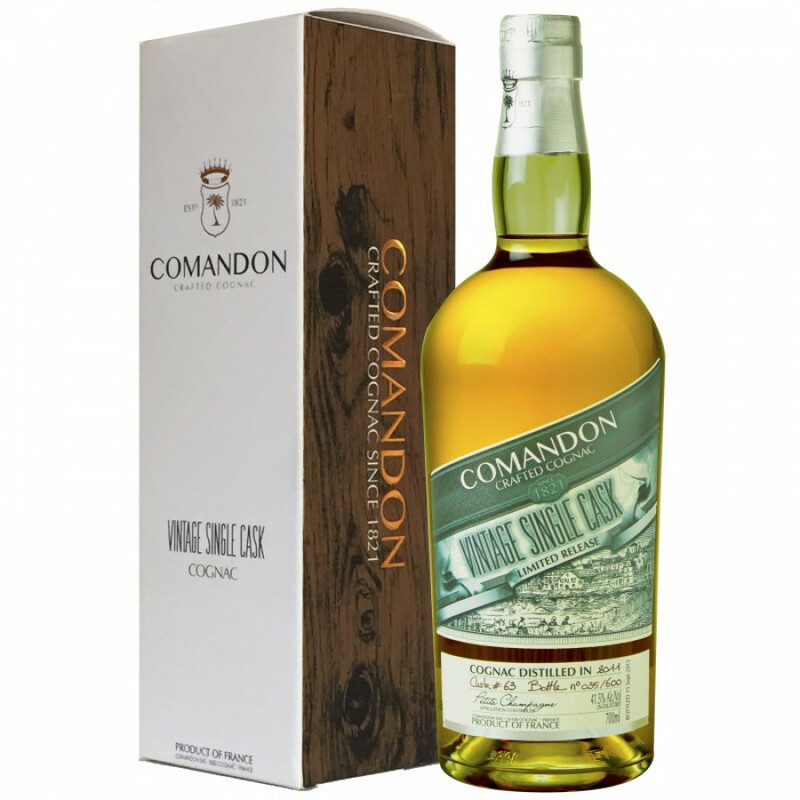 The Comandon Vintage Single Cask 2011 Petite Champagne Cognac goes against everything that represents Cognac production and the art of blending. Instead, the Cellar Masters at Comandon wish to offer different casks that represent different years, instead of (trying) to mass produce the same Cognac year in, year out. It is a Cognac that works in tandem with nature, and shows true innovation. Single cask aging is usually only reserved for brown spirits such as bourbon or whiskey, and is relatively new in the Cognac world. This Comandon Vintage 2011 Cognac is a wonderful, singular expression of the prestigious Petite Champagne, that is renowned for its finesse. This one was selected due to its creamy body, subtle spice and delicacy, with a long length. Only 600 were bottled, so once it’s gone, it’s gone. The single cask Cognacs from Comandon are a unique selection from one single region appellation. They offer a single expression of one particular cru, and they are left untouched for several years to then be bottled years later in limited quantities. The oak casks are from different regions, including Limousin, Tronçais, Allier, and are lightly toasted. Casks are often restored and used again, so it is common that single casks are the same distillate but are matured in different casks throughout their lives. A vintage, single cask of this nature is best enjoyed neat. The labeling is sleek and slanted, in a white and green color that perfectly compliments the liquid. There is a lovely graphic design of the estate on the bottle, and it arrives in a smart looking box.